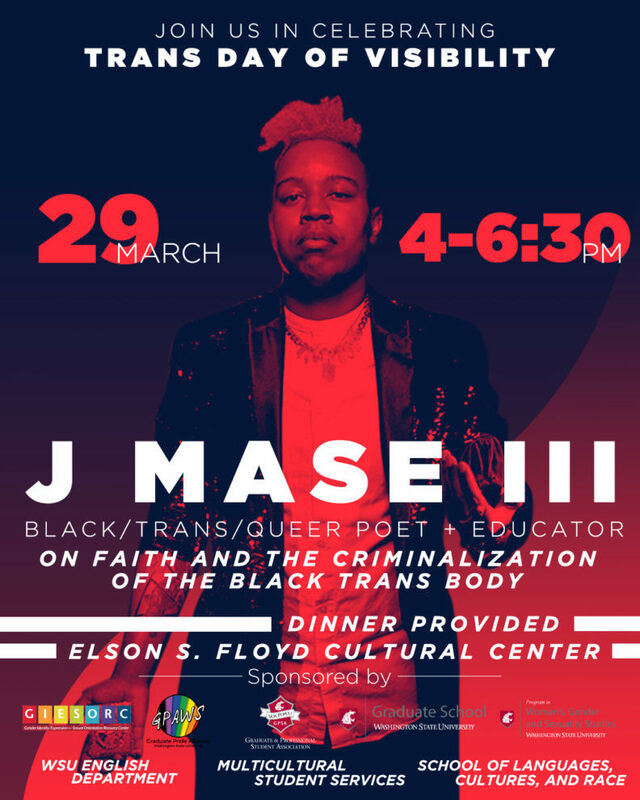 J Mase III will be the guest speaker. An evening of history, performance and interfaith theological narrative discussing trans history and response to current practices that still undermine the lifespan and livelihood of trans people in 2019. Free food included catered by Panda Express. For more information, please contact gpaws.rso@wsu.edu.